Updated 3/18/18: This article has been updated to reflect additional information from city spokesperson Roqua Montez. 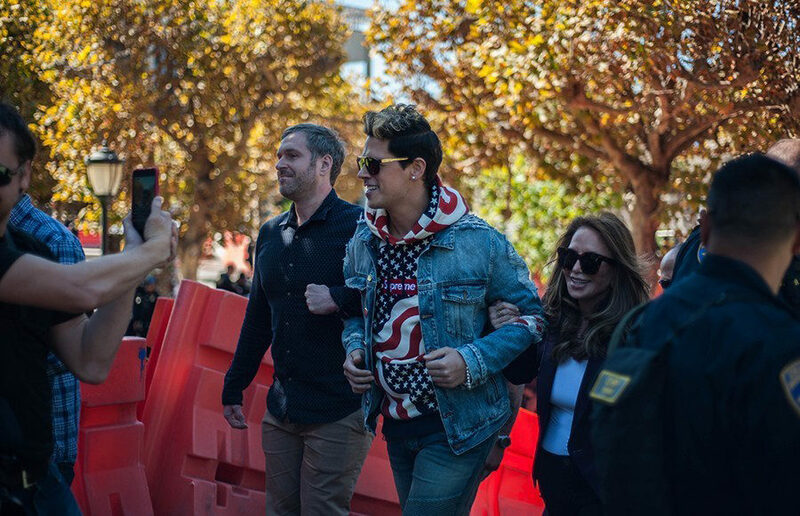 Two years after the violent protests on campus surrounding conservative speaker Milo Yiannopoulos’ visit, a lawsuit that was originally filed in January 2018 against campus officials, UCPD and the Berkeley Police Department is moving forward. U.S. Northern California District Judge Claudia Wilken denied UC Berkeley’s motion to dismiss the charges against two UCPD officers: Lt. Marc DeCoulode and Lt. Joey Williams. 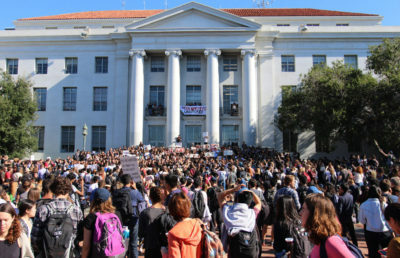 According to the order regarding the campus’s motion to dismiss, the reasoning behind the court’s decision was that the plaintiffs — John Jennings, Katrina Redelsheimer, Trever Hatch and Donald Fletcher — had sufficiently pleaded that actions taken by these officers violated their due process rights under the 14th Amendment. The plaintiffs’ case against the rest of the defendants, however, has been dismissed without appeal. In the revised complaint submitted by the plaintiffs, they alleged that Lt. DeCoulode and Lt. Williams’ decision to lock the doors of the Martin Luther King Jr. Student Union caused further harm to the plaintiffs, as they could not seek refuge in the building. The plaintiffs refer to arguments based “on information and belief” that DeCoulode and Williams’ reactions were deliberately indifferent about the safety of the plaintiffs. According to the plaintiffs’ lead attorney on tort claims Shawn Steel, the case took two years to get to the discovery stage because many defendants were named, so there were many lawyers on the defendants’ side — which led to delays in the legal process. Becker said the complaint itself was lengthy, and the courts took months to come up with a decision regarding the previous motions to dismiss filed by the defendants. 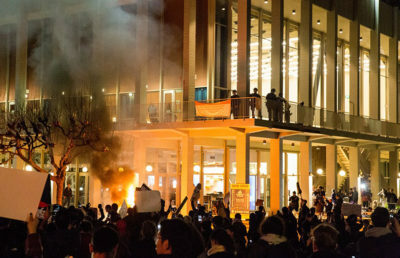 According to Becker and Steel, the plaintiffs want the defendants to pay for their medical bills and compensation for damages, and they want to ensure that there is a policy shift regarding conservative political events on campus. 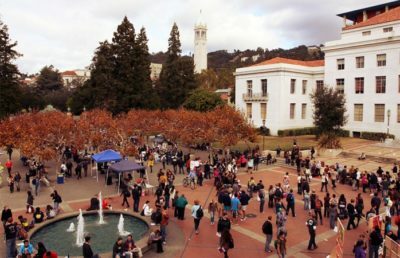 “I think the overarching policy goal that we’re seeking is that UCB will establish a policy whereby conservatives who visit campus will no longer have to be threatened by violence … simply because of their conservative views,” Becker said. The plaintiffs are currently moving forward with their discovery plan, according to Becker, who also said there was no offer of settlement given by the defendants. Becker suggested that it would take about a year to fully resolve the case, which means, according to him, that the settlement would be larger if they won after trial rather than if it were settled now. Contact Megha Krishnan at [email protected] and follow her on Twitter at @_meghakrishnan_.